Loosely based on the popular television series of the 80's, this movie is about a young loner on a crusade. Because of his circumstance, he creates a special car out of an old Fold Mustang. The "interface" on the car allows the spirit of a young girl to reside in the car and help him. Regions are unavailable for this movie. 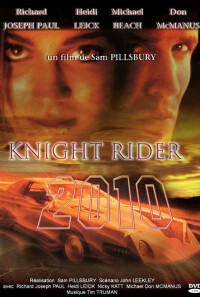 Click the "Watch on Netflix" button to find out if Knight Rider 2010 is playing in your country.